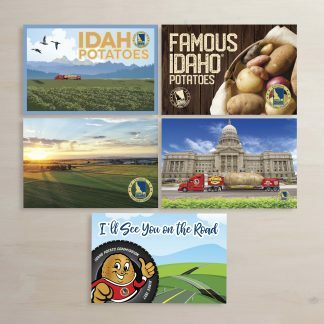 Welp, the Big Idaho Potato Tour is winding down and just made it’s last out of State visit. We were at our South Eastern Neighbor of Utah, in Salt Lake City. 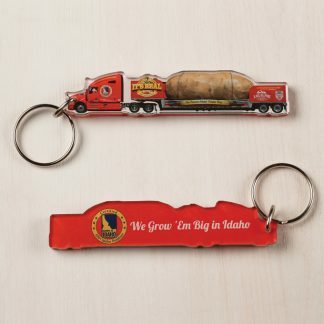 It’s fitting I think, to make our last out of the State of Idaho visit in Utah, because so many of our Idaho Potato Farmers also have family there. We had to brave a bit of wind, but the Big Idaho Potato isn’t only a fair weather Spud. The Tater Twins and Larry weren’t about to let a little messy hair stop them from having their last little bit of fun in Utah. 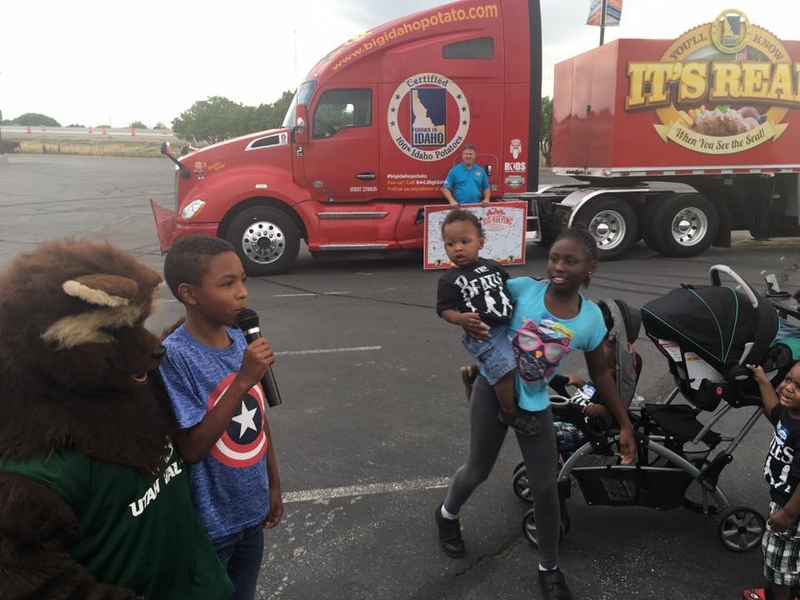 Rods Hogs and Rigs, is a local event which last year raised over $9,000 for after school programs benefiting both Stansbury and Hillsdale Elementary Schools. This years goal was higher, but the storms moving through the area put a damper upon the number of actual entries. It seems that when you put thousands of dollars into your paint jobs, you don’t like risking hail damage. Fair enough I suppose. 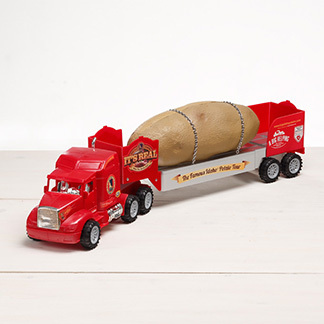 With fewer entries though, the Big Idaho Potato got to spread it’s message with a bit more ease. We had more time with the public who also braved the impending anti Hair style weather. Mussed up and unkept, the Twins and Larry wrestled with the wind to also host a signature board. A Big Helping, showed it’s love for the schools by again matching signatures with donations. Try as it might, the wind wasn’t able to wrest free the board from the Tater Team. The event was a fun family free time complete with raffles and many cool old cars and trucks. Food and face painting capped off the fun evening. 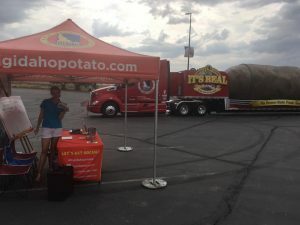 The It’s Real Big Idaho Potato Tour was the highlight of the show. The Tater Twins and Larry then got to spend the rest of the week home doing chores…I mean relaxing. One of the Twins bought a car, one of them got a year older, and Larry went hiking. It’s good to reintroduce the team into the lives of their loved ones in small bits of time. 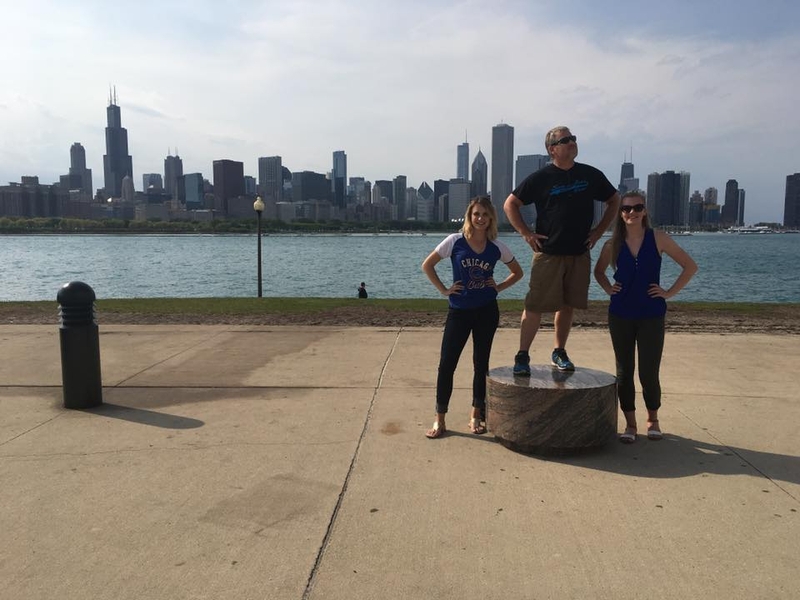 Rather than just have us walk back in with nary a care for leaving again, we give them doses of the teams presence. It helps them cope with the celebrity in their midst. The Grammy award winning team is just so popular and their persona’s so large and in charge. 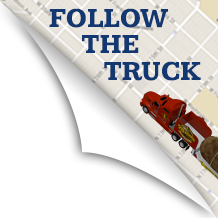 Join us next week as we visit Eastern Idaho for Shelly Spud Days and visit’s with McDonalds.